It is no big secret that proper care of your guitar will give you a more consistent quality of sound and an extended for the guitar . If you are at all serious about playing guitar you will want to get some accessories that are essential for the care of the guitar. A guitar player is only as good as the sound and the quality of the guitar that they are playing. The first item on the list would be a hard shell case for transporting the guitar. Many people use what they call soft or cloth “gig bag” which zip up and protect the exterior surface of the guitar. A major problem with this type of case is that the tuning nuts on the end of the neck of the guitar get out of tune almost every time you transport it as there is nothing to protect them from being knocked which causes them to turn and get out of tune. Also, if there is any kind of impact while loading and unloading the guitar, this could cause cracks or actual punctures in the body of the guitar. A hard shell case prevents these things from happening as there is space between the neck and body of the guitar and the actual case. The case is designed to take impact while holding the guitar securely on the inside protecting the actual body and neck of the guitar and keeping it in tune. It is a bit more of an investment than a gig bag but in the long run it will help to make your guitar last much longer. Another item that should be considered for care of the guitar is a guitar stand. You need this to put the guitar on while you are not playing it. 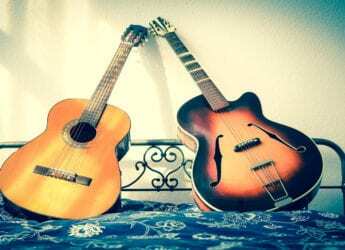 Many people lean the guitar against a wall or couch or some other stationary object when they are not playing it. There are a couple of reasons why this is not a good practice. 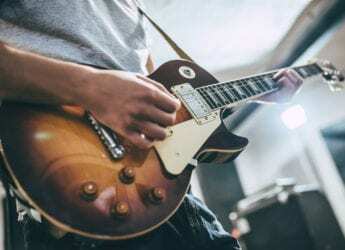 The first would be that if you do not lean the guitar in the correct manner you can very easily warp the neck of the guitar which makes it much more difficult to play. Warping of the neck increases the distance between the strings and the neck which causes you to have to apply more force on the strings while playing. This can make for some very sore and blistered fingers! Also, leaving the guitar laying around makes it much more available for accidents to happen. Having a stand keeps the guitar in the same location when you are done with it and also supports the neck close to the body of the guitar which totally prevents warping of the neck – a small investment solving some big problems. The last item that should be considered is an actual tuning device for the guitar. You will find that the longer you play the guitar the better you will become at tuning it by just using your ear. But for starting out, you will want to use something that gives you the exact sound and gives the guitar an accurate tune up. There are many devices that you can get that are very easy to use which will give you the exact tuning you need. 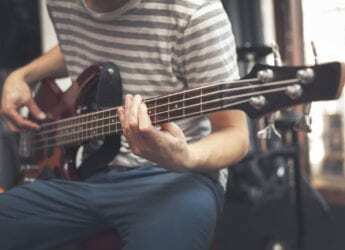 When your guitar is not tuned correctly this can be very embarrassing – especially if you are singing along with the guitar!